At Nanshe Gallery until July 20th. 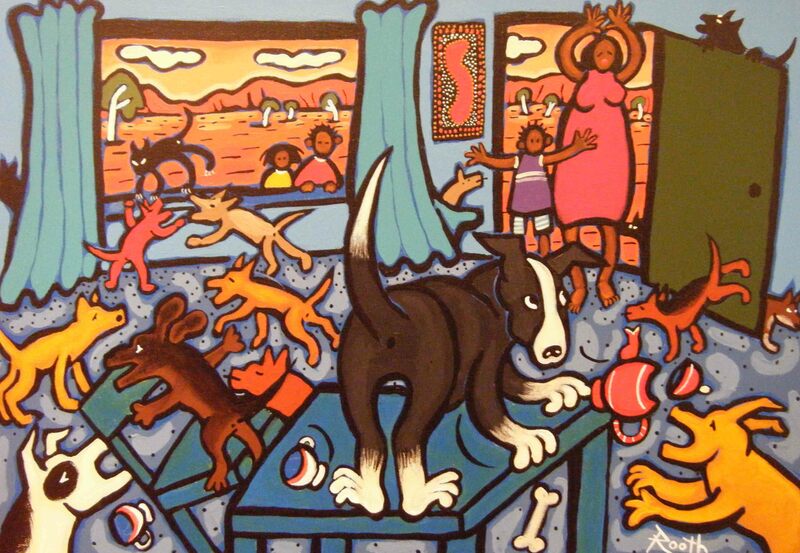 Using a chaotic blend of imagery and colour Rooth Robertson portrays camp dogs with mischievous complexity. 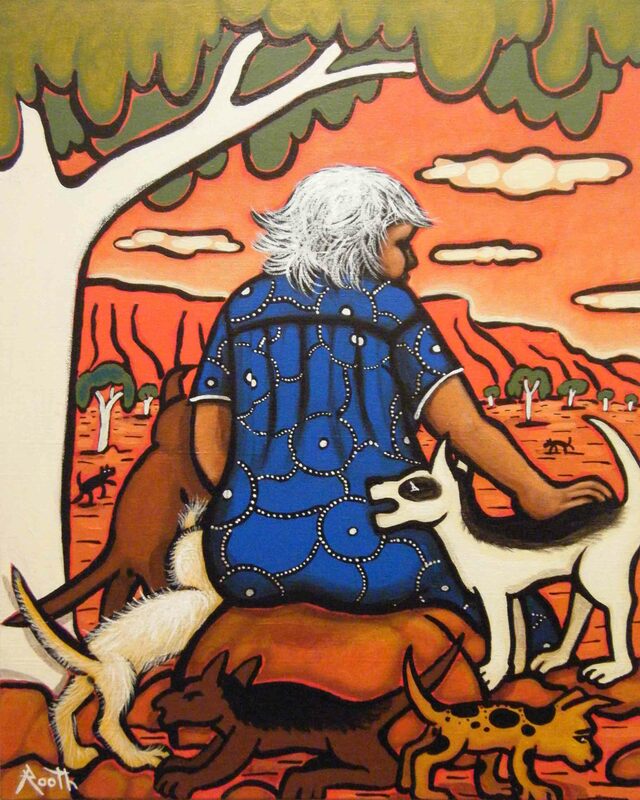 A contemporary artist from the Wiradjuri people, Robertson possesses the ability to create dialogue within the realm of her paintings. Layers of acrylic paint flow easily to achieve energetic gradations reclaiming distance and dimension while contours are defined with strong dark line generating distinct spatial characteristics. A sense of frivolity and fun is the outcome. The intricate, often sad issues relating to her people are expressed in a vibrant quirky manner with sassy dogs in abundance. Lurking within the frenzied muddle of wagging tails and bouncy buffoonery is anxiety. Aware of the plight of the people in the town camps, Robertson depicts the disorder and mayhem through the collarless dogs or cheeky dogs as they are called on the camp. Rooth and The Cheeky Dogs are on exhibit at Nanshe Gallery until July 20th. The gallery is located at 148b Beaumont St, Hamilton and is open Wed-Fri 9-5 and Sat 9-3.